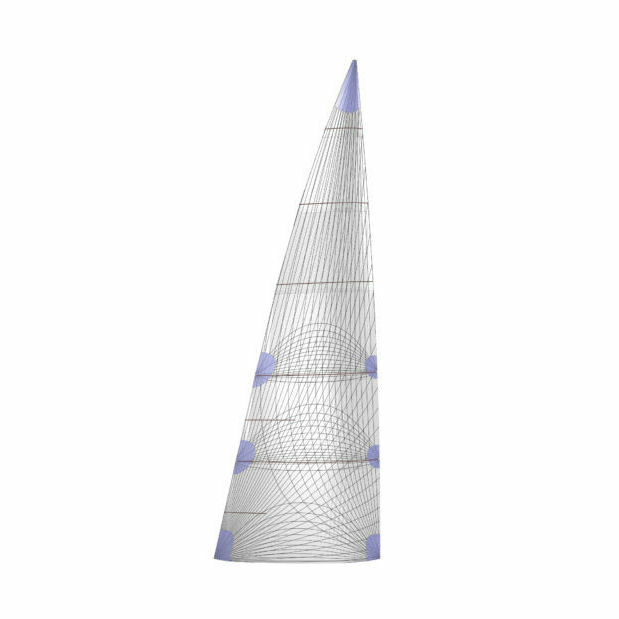 Doyle developed Delta sails as a sail solution for cruising and racing yachts under 50 feet. Delta offers a more standardised membrane sail as compared to our fully customisable Stratis product. Delta sails high quality fibre options and proven fibre layouts offer a modern alternative to the traditional panelled sail construction. Utilising the same plant and technology as the Doyle premier product, Stratis, Delta customers will reap all the benefits of proven manufacturing processes at a more affordable cost. The fibres utilized in Delta laminates are Black Technora and Carbon with the surface option of white taffeta or clear UV films. Technora fibres are extremely durable and resistant to flex fatigue, and Carbon fibres have the ability to resist stretch and maintain great shape retention over the life of the sail. Engineered for versatility, performance and longevity talk to your local Doyle loft expert to find the best sail for you.